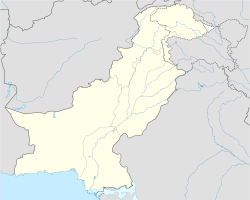 Nushki (Balochi: نوشکی‎) is a town and district in Balochistan, Pakistan. It lies southwest of Quetta, and is situated in a plain at the base of the Quetta plateau, 2900 ft above sea level. From Nushki, the flat Balochistan desert stretches away northward and westward to the Helmand River. Nushki was a starting off point for the British exploration of Central Asia. The British, concerned that their colonies in India would be attacked overland by either Napoleon or the Russians, sent two British officers, Captain Charles Christie and Lieutenant Henry Pottinger, to explore the regions between Balochistan and Persia, which was then allied with the British. Christie and Pottinger traveled from the coast to Kelat (now Kalat) and separated at Nushki on March 22, 1810, with Christie going northwest to Herat and Pottinger traveling west across the deserts. It was unlikely that either of the two men would be accepted by the locals, and they concealed their identities by posing as horse-traders or holy men during their respective journeys. They were reunited in Isfahan on June 30, 1810, with Christie haven ridden 2,250 miles and Pottinger having ridden 2,412 miles. ^ Chisholm, Hugh, ed. (1911). "Nushki" . Encyclopædia Britannica (11th ed.). Cambridge University Press. ^ Peter Hopkirk, The Great Game (1994), pp. 38-55. Wikimedia Commons has media related to Nushki tehsil. This page was last edited on 13 April 2018, at 08:30 (UTC).